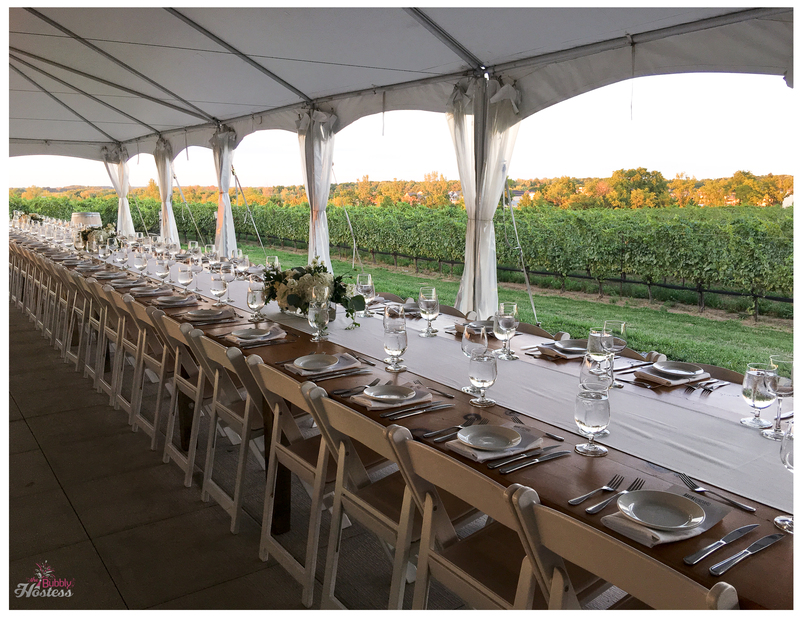 Last week I was fortunate enough to attend a leadership summit with my company in the town of Niagara-on-the-Lake. 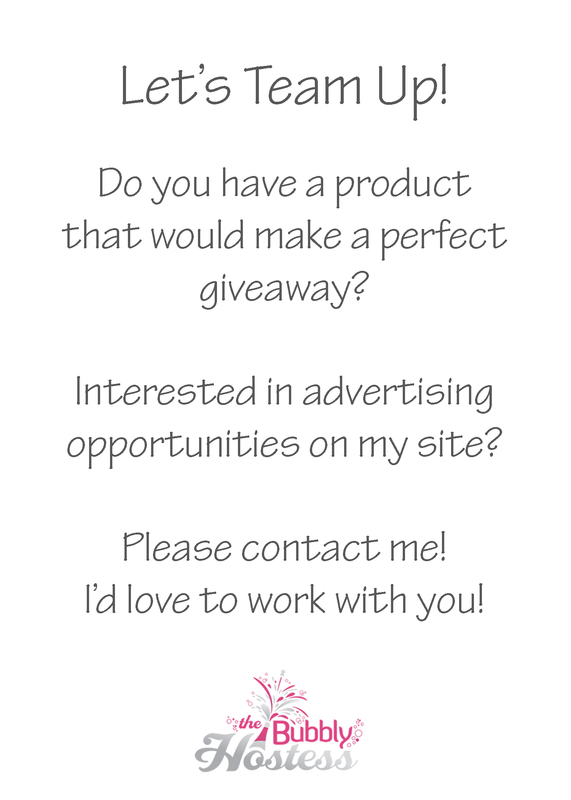 This quaint town is just across the Canadian border and is filled with great hotels and resorts, shopping, and one of my favorites, vineyards! 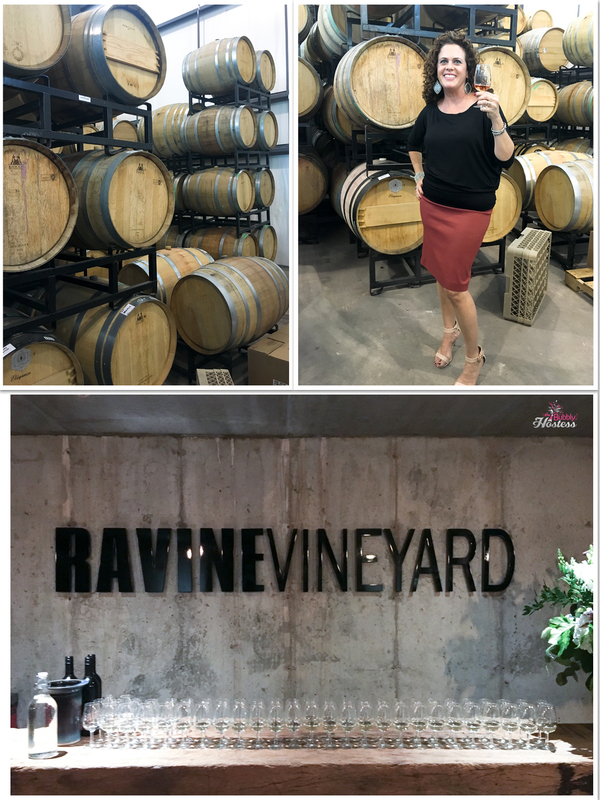 While there, our group of about 180 people, attended a wine tasting and dinner at Ravine Vineyard, it was spectacular – I had to share my experience! 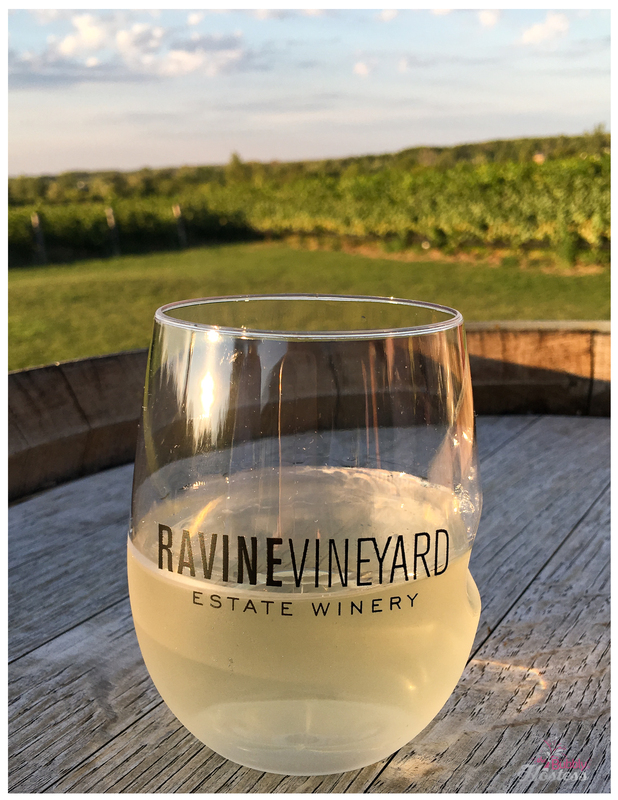 Our first taste test was of their Riesling – not usually a fan of sweet wines, but this was surprisingly dry and quite tasty. Next up was their Rosé, another delicious wine – I may have had two taste testings of this one. Finally, their Sand & Gravel Redcoat which is a red blend and it was fantastic. 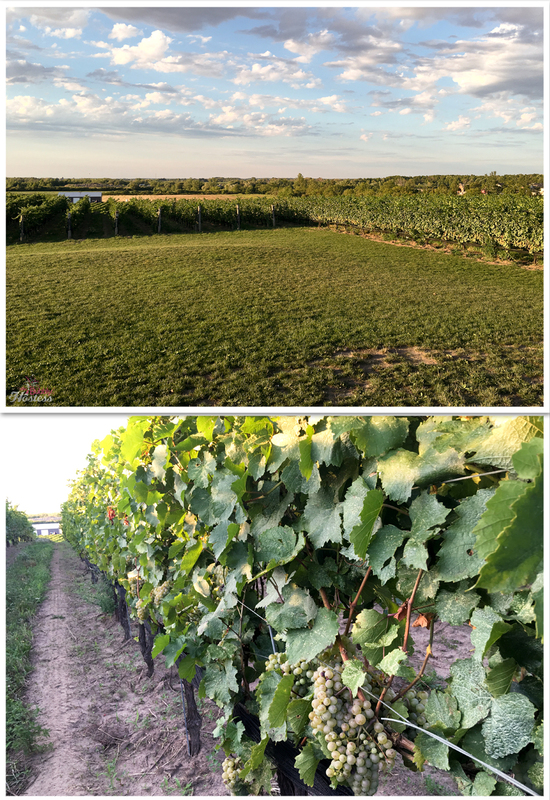 After our tastings, we headed back outside to drink more wine (or they offered a full bar) along with passed appetizers while we enjoyed each other’s company, sat on the deck watching the sunset, and took lots of great team photos. 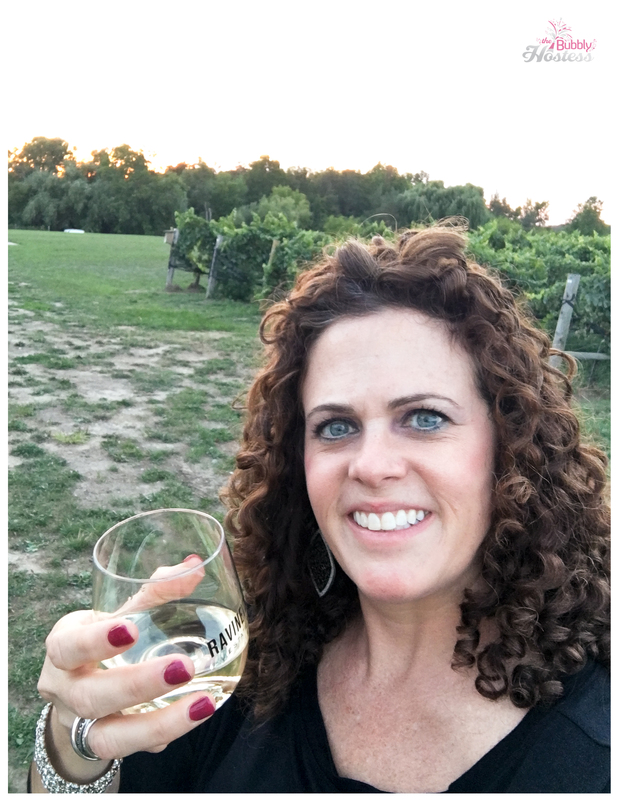 Here are just a couple I took of the scenery – and my wine glass of course. 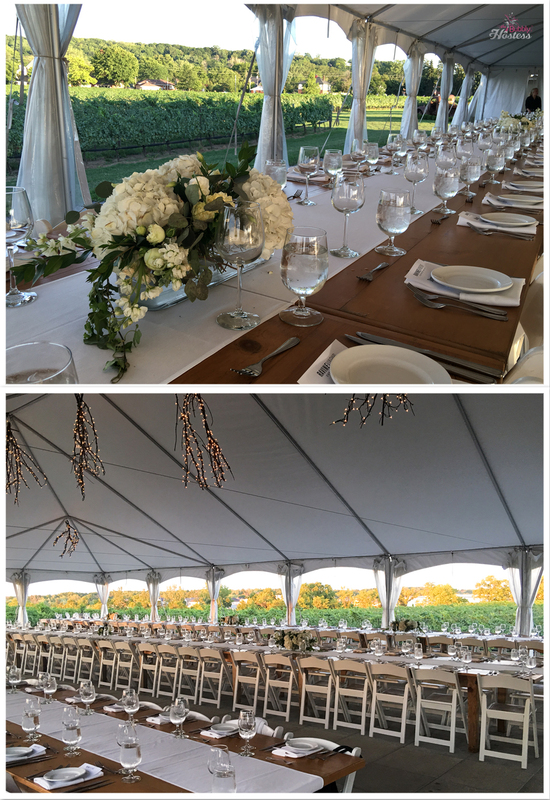 Next we headed over to their outdoor dining area – a large tent situated right next to the vineyard. 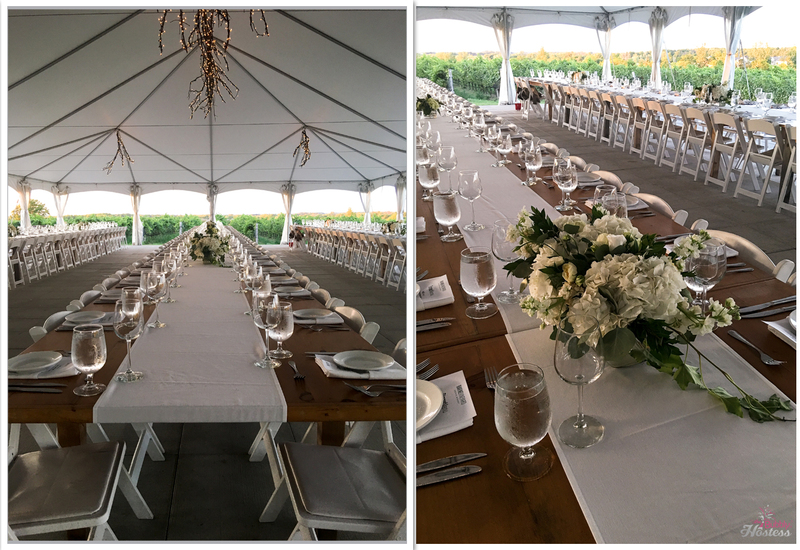 The tables were set beautifully – I couldn’t resist but taking a number of photos! 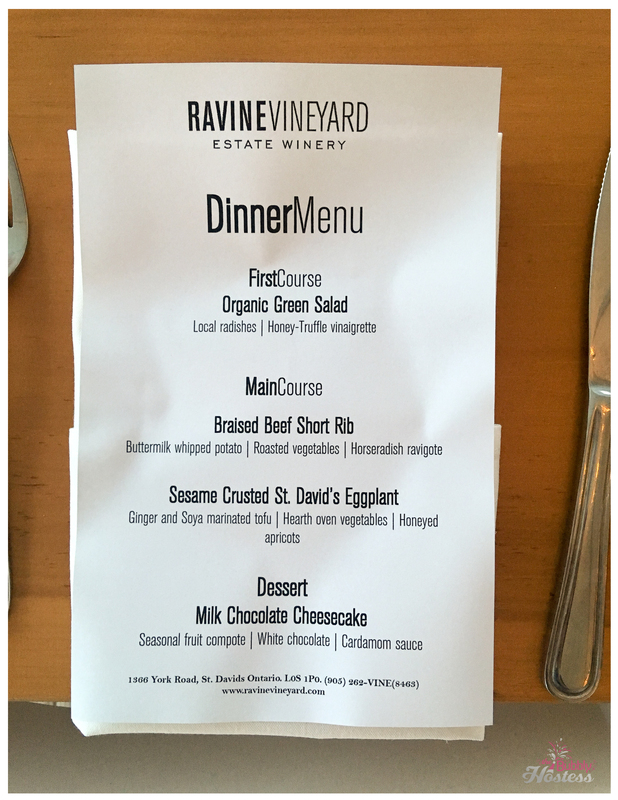 We enjoyed a delightful 3 course meal served with more wine of course! 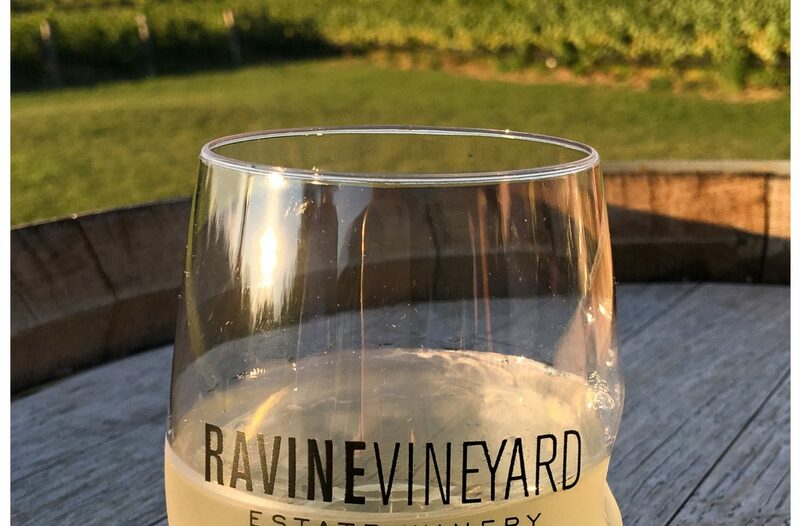 This was a very enjoyable experience – cheers to you, Ravine Vineyard!